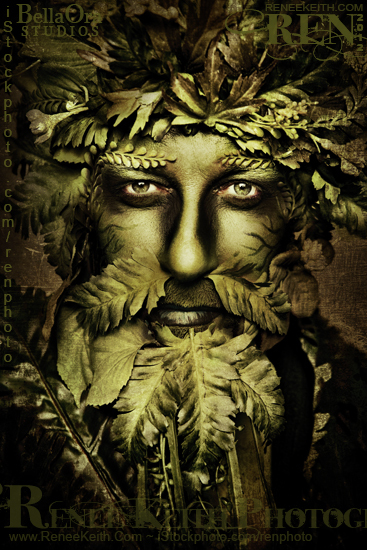 From Wikipedia: A Green Man is a sculpture, drawing, or other representation of a face surrounded by or made from leaves. 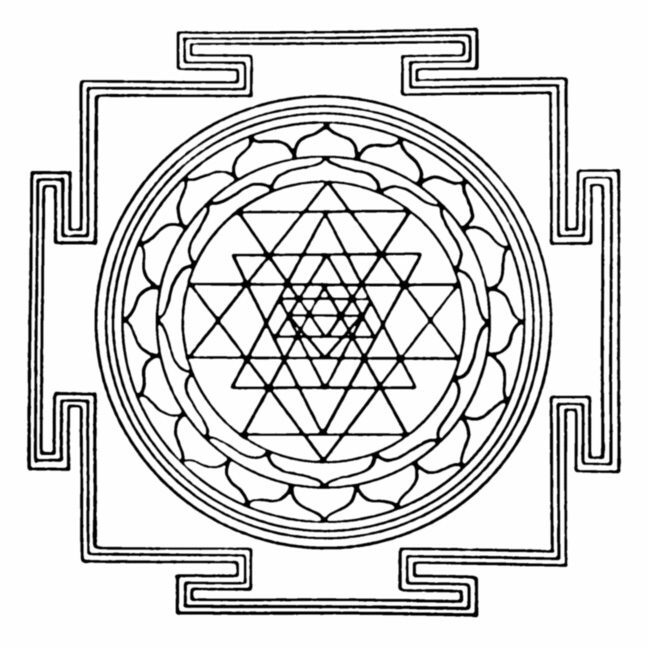 Branches or vines may sprout from the nose, mouth, nostrils or other parts of the face and these shoots may bear flowers or fruit. Commonly used as a decorative architectural ornament, Green Men are frequently found on carvings in churches and other buildings (both secular and ecclesiastical). “The Green Man” is also a popular name for English public houses and various interpretations of the name appear on inn signs, which sometimes show a full figure rather than just the head. 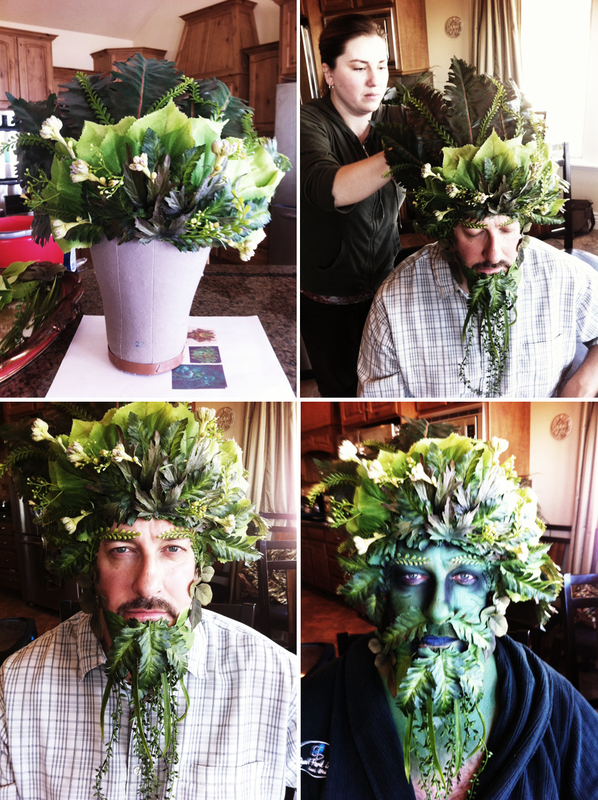 I decided to do a Green Man shoot with my friend Steve, and it was a ton of fun… love the way it turned out! 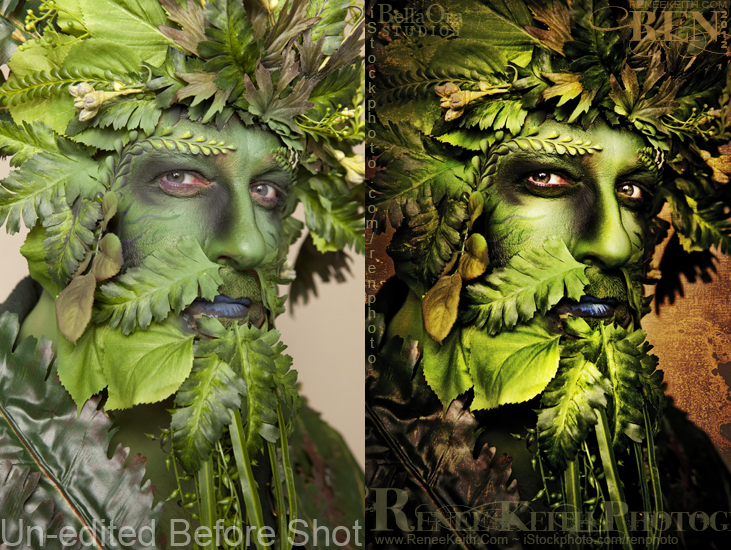 Here is a before editing (straight out of camera) shot and after shot (processed in Lightroom and Photoshop)…. 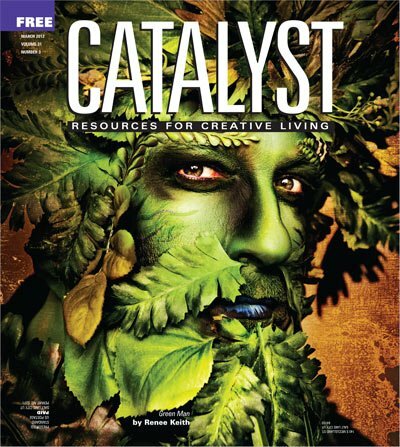 A huge thanks to Catalyst Magazine for using one of my images on the front cover for March 2012!! BTW, just wanted to mention that I always use professional body paints and glue, etc when working with people… I used Mehron & krylon brands for this shoot.